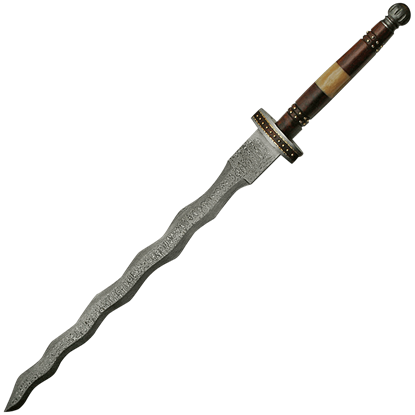 Similar to a two-handed sword or Zweihander, flamberge swords possess an undulating style of blade that offers a unique appearance. 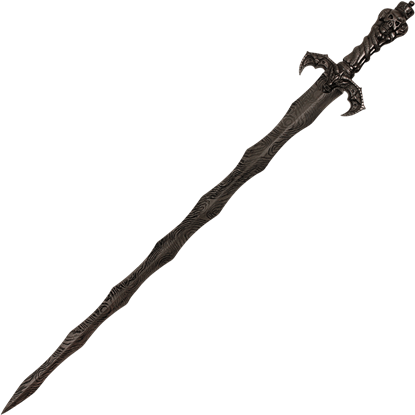 Literally named a Flame Blade sword, flamberge blades could cause unpleasant vibrations for the opponent when parrying and were sometimes used to cut through enemy polearms. These wave-blade swords are also known as flambards or flammards. 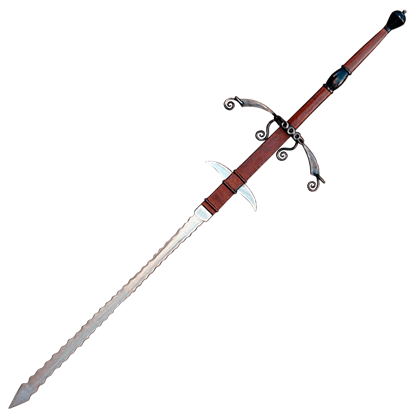 At Buying a Sword, we offer several excellent Renaissance flamberge swords perfect for serious weapons connoisseurs to add to their collections. We provide functional flamberges with high carbon steel blades that are battle ready, as well as decorative flamberges perfect for displaying in your home or office as a unique accent. When you want a historical sword replica that will truly stand out from the rest, be sure to look at the magificent flamberge replicas here at Buying a Sword. The flamberge is an undulating blade reminiscent of waves or flames. This Flamberge Damascus Sword is a terrific sword for fantasy and cosplay outfits, as well as a conversation starter whenever you draw the blade from its sheath. This handmade sword is not for the faint of heart, as Great Landsknecht Swords were wielded by only the strongest and most fearless chosen front line Swiss and German soldiers of the Middle Ages, and for good reason! The shape and decoration that exists on the Skeleton King Flame Sword brings to mind the image of a dark, skeletal overlord clad in sundered armour, sitting on a throne made of dark metal as he waits for his time to attack the living. Rapiers, like other swords in era, were subject to unique twists too. 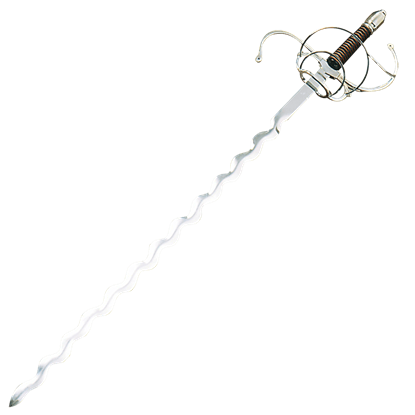 This Swept Hilt Flamberg Rapier, for instance, combines the classic hilt of the dueling sword with a thinner wave-blade borrowed from the zweihander.